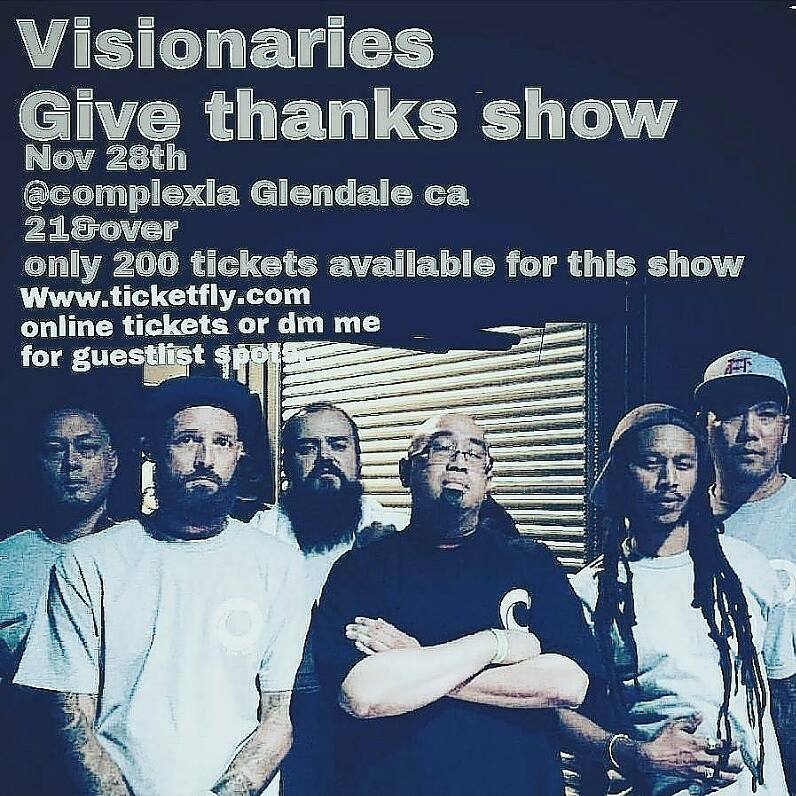 This Saturday (November 28th), The Visionaries will be doing a special “Give Thanks” show at The Complex (806 E. Colorado St.) in Glendale, Ca to celebrate 20 years in the game and as a way to thank their fans. Come see Dannu, LMNO, 2Mex, Dj Rhettmatic, Lord Zen, & Key-Kool as they will be together on stage performing classic Visionaries songs as well as solo joints. It is a 21 and over event & ONLY 200 Tickets will be available. You can purchase the tickets at www.ticketfly.com. If you are a true Visionary fan & love Underground West Coast Hip Hop, this is a show that you do not want to miss!